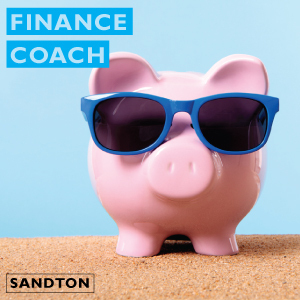 Our Sandton office is looking for a Finance Guide who is passionate about assisting entrepreneurs on their journey towards success. In essence, a Finance Guide is a finance guru who has great business acumen and a desire to help our entrepreneurs navigate and grow their businesses. What does a Finance Guide do? A Finance Guide is a finance specialist who walks an exciting and challenging journey of development with a portfolio of entrepreneurs. The purpose of the role is to help entrepreneurs grow their businesses and become more financially proficient. Guides do not do for our entrepreneurs but instead question, share knowledge, create alternatives, and support. Do I need to be an experienced business coach? You do not need to be a qualified or trained coach. While it is not an express requirement, it does help. Instead, we do look for a pattern of people development throughout your career, and this may take various forms. No. Guiding is an internationally recognised methodology that is designed to meet the specific nuances of the entrepreneurial journey. You will receive intensive training to ensure that you are able to meet the financial needs of the entrepreneur. Our Guides are specialist professionals who subscribe to a high ethical standard which is maintained through continuous professional development. Guides are non-prescriptive in their approach as our entrepreneurs remain in the driver seat at all times. What kind of person makes a good Guide? A Guide has heart and genuinely needs to care about the multi-faceted journey of the entrepreneur. Guides should be free from judgement, they should be mature in their approach, and they should be able to create a safe space for a diverse selection of people. A Guide should be able to hang his or her ego at the door, and should be able to share freely and comfortably. A Guide is highly competent. A Guide loves entrepreneurship. A Guide is creative and good at solutioning. A Guide is confident in their ability to affect a business’ bottom line. What are the minimum requirements I need? A tertiary qualification in finance. A minimum of 12 – 15 years’ business experience. Strong communication ability and a proactive attitude. Detailed understanding of small and medium business finance.